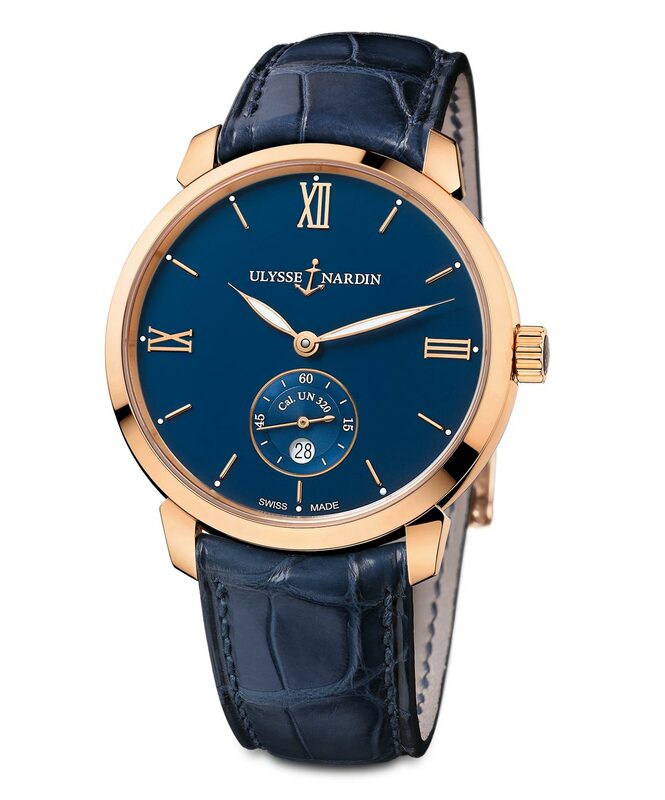 The new Classico Manufacture is the first timepiece of the Classico Collection that Ulysse Nardin equips with an in-house movement entirely conceived and developed by the manufacture. 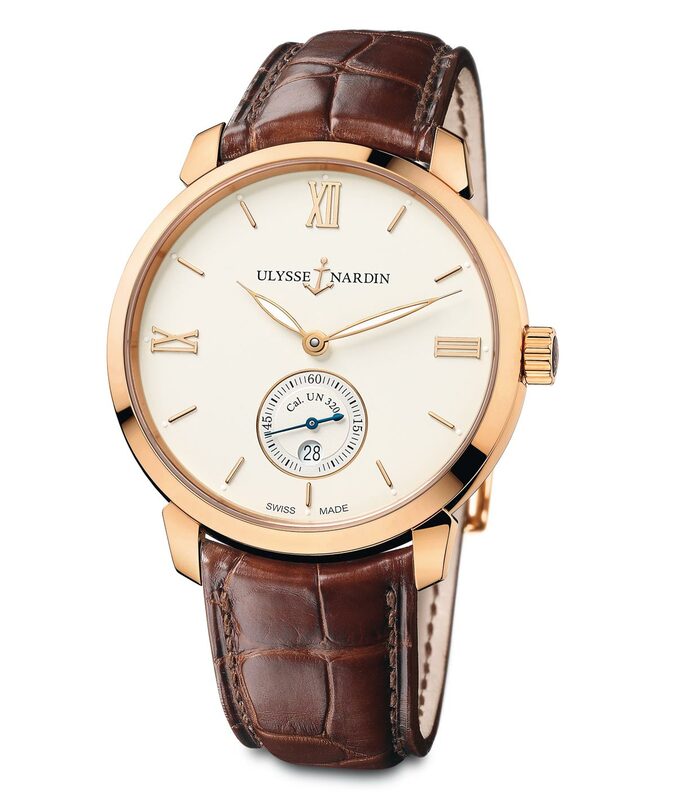 Featuring a silicium hairspring and anchor escapement for exceptional accuracy, the self-winding UN-320 calibre beats at 21,800 vibrations per hour and offers a power reserve of 48 hours. Visible through the sapphire crystal back case, the movement also features a stop seconds mechanism. The new movement is housed in a 40 mm x 9.60 mm rose gold case which frames a dial characterised by the small seconds sub-dial and the date aperture at 6 o'clock. A useful function, the date can be easily set backwards and forwards. 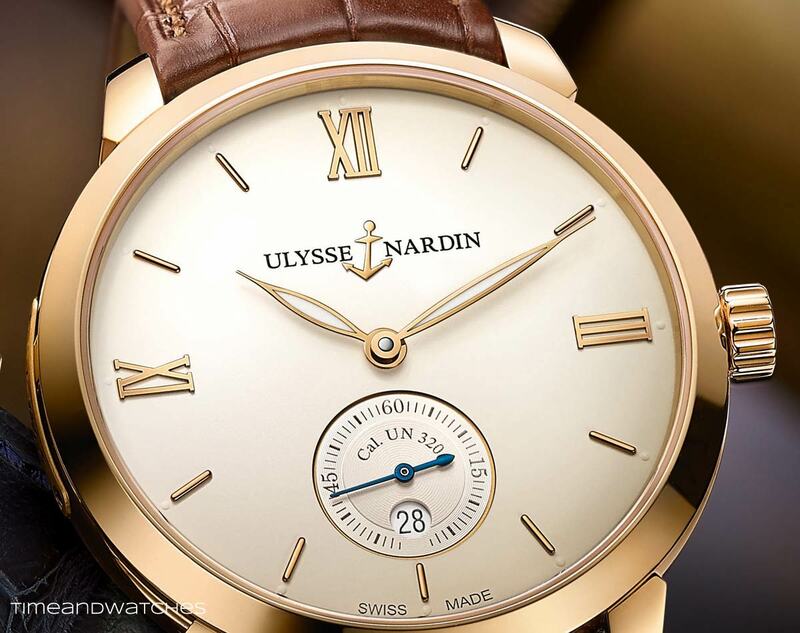 Ulysse Nardin Classico Manufacture. 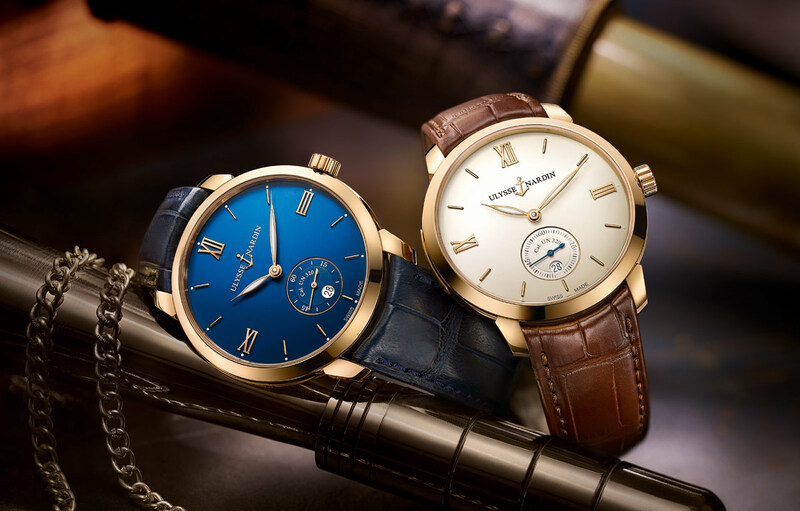 The new Classico Manufacture is the first timepiece of the Classico Collection that Ulysse Nardin equips with an in-house movement entirely conceived and developed by the manufacture. 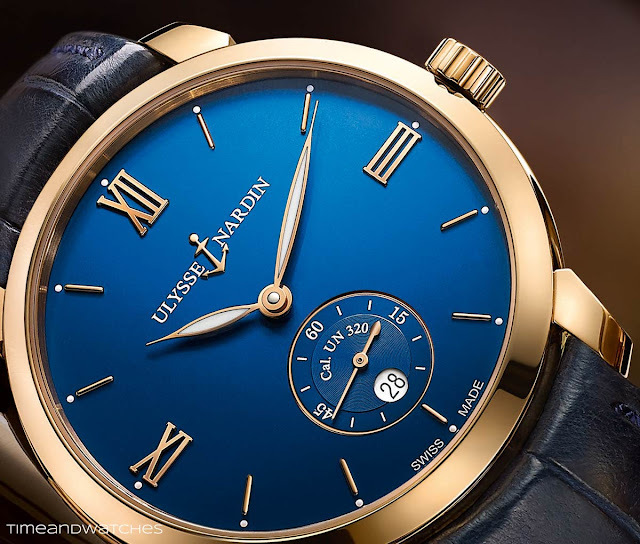 The Ulysse Nardin Classico Manufacture is available with two dial finishes: sunray blue (ref. 3206-136-2/33) or eggshell (ref. 3206-136-2/31). The price is around Euro 14,500 / US$ 15,900.